does Konnie Huq NEVER mention her twin sister! The England and Wales Birth Index shows her older sisters Nutun (b 1966) and Rupa (b 1972) in the normal way. There is also a third sister named Momota Asha Huq who died as a baby in 1970. (In both birth index and death index). Konnie's full name is Kanak Asha Huq. Mukta Asha Huq was born at the same time in Hammersmith, London. Mukta's mother's maiden name is also Biswas. This helps explain how Konnie Huq lookalikes might feature in current events looking slightly altered. There are other celebrities with never mentioned, never died twins, according to the records. I expect to discover that they are involved in media fakery, but cannot show this so far. Konnie Huq is begining to sound more like a actress than witness to me. IceDash 4 Apr 3 2010, 07:01 PM wrote: Konnie Huq is begining to sound more like a actress than witness to me. Well she's turning into a serious enigma anyway. There are all sorts of coded hints that she is a twin / part of a weird "nature vs nurture" experiment ? la "Trading Places" - her favourite film. How is this relevant to reality shack? Well, Huq's TV appearances are always mixed up with terror / racist propaganda. 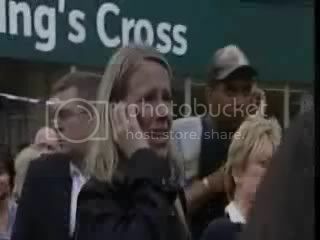 She, or a lookalike-soundalike, was involved in the 7/7 hoax. So, understanding Konnie Huq, and the layers of deception in her life will help us understand the workings of "the enemy" more generally. THemes in interviews with Konnie Huq repeatedly include being "owned by Blue Peter" and "owned by the BBC", and slavery. She played a slave in BBC's Robin Hood series. Frankly, I'm sending back my Blue Peter badge. Her man, she claims, is a TV producer: Nick. In England, does that necessarily mean BBC? Or are there other channels? I suppose either way you have MI types all up in it. hoi.polloi @ Apr 6 2010, 04:58 PM wrote: Her man, she claims, is a TV producer: Nick. In England, does that necessarily mean BBC? Or are there other channels? I suppose either way you have MI types all up in it. I had not looked at the boyfriend. 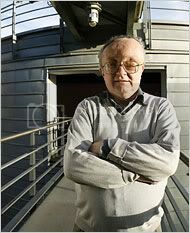 "Nick Patterson - TV Producer"
Nick Patterson, cryptographer from GCHQ - a British Intelligence code-breaking place. In 1980s he was at the Institute for Defence Analysis at Princeton. He is now working on big genome / DNA projects at MIT and Harvard. In 1972, Dr. Patterson began working at the Government Communications Headquarters, where his research remains classified. That's funny cos it sounds like the kind of wacky research I associate with Konnie Huq's strange life. hoi.polloi 4 Apr 6 2010, 04:58 PM wrote: Her man, she claims, is a TV producer: Nick. In England, does that necessarily mean BBC? Or are there other channels? I suppose either way you have MI types all up in it. ...then what kind of novelist might have scripted 7/7? A “visionary,” who sees the hoax as a grand work of art. -McEwan enrolled to study English at Sussex University in the late 1960s, as one of the first cohorts at the newly-built institution. His final dissertation gave a very original Marxist-Freudian interpretation of the Noddy Books. It is known that MI5 sent their future Director-General, Stella Rimmington to Sussex University in the late 1960s. She was ordered to spy on student Marxists. The official story is that she immediately concluded that the students were non-subversive. But she was ordered to remain at Sussex. So, with nothing to do, she whiled away the time reading novels? Could McEwan, a Marxist suspect, have caught the attention of the novel-reading MI5 spy at Sussex in the 60s? 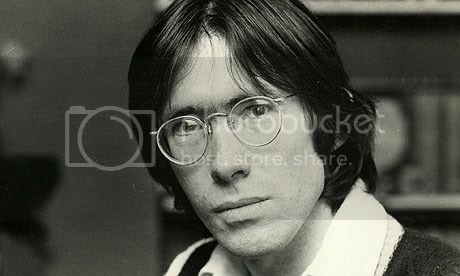 -In 1970, McEwan was the very first (and for one year, the only) student to enrol on the new MA in Creative Writing at the University of East Anglia. His work received the undivided attention of the course co-founders Malcolm Bradbury and Angus Wilson. Wilson, had feet in both the worlds of Military Intelligence, and of Literature (later becoming President of the Royal Society of Literature). Being closely mentored by Wilson, might McEwan have been inducted into a clique which bridged the worlds of secret intelligence and literature? Might this “investigation” involve the testing of human nature through behavioural experiments using the media? 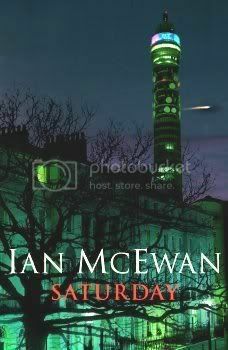 McEwan’s novel “Saturday”, published January 2005 has been described as a "prophecy" of 7/7. Your new book “Saturday” is written in expectation of an act of terrorism. Now it has happened. What was your first thought when you heard it was a terror attack? It confirmed my book. I mean, it’s not that I take any satisfaction from it , nor did I share any great insight, everybody’s been waiting. But at the same time as waiting they’re also forgetting because, you know, it’s been four years since 9/11. Even Madrid was 18 months ago. 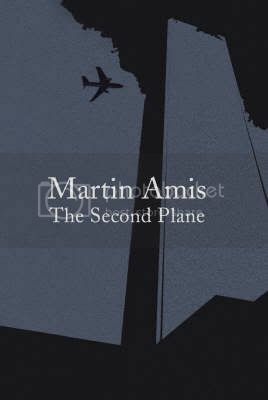 And yes, at the end of the novel when the protagonist is standing in the window he talks of Londoners waiting for bombs. Well, you know, here it was. -Unmentioned by the press is the fact that “Saturday” is strongly connected with the number Seven in the Abrahamic faiths, (hence Seventh-day Adventists who celebrate the Sabbath on a Saturday). McEwan has an intimate association with Antony Gormley ? 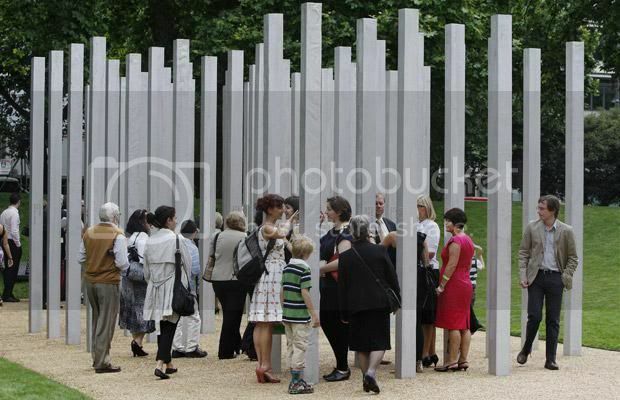 the artist who was a consultant to the architects and the victims’ families for the 7/7 memorial. 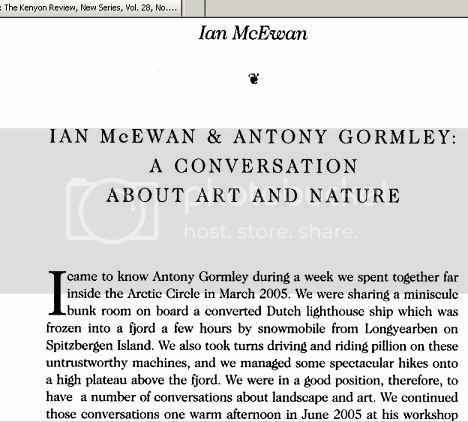 In March 2005, Gormley and McEwan were sharing a bunk together on an arctic cruise, discussing Art & Nature ? Discussions that were continued in London in June 2005? The lone figure on the far right resembles a young Ian McEwan, circa 1980. 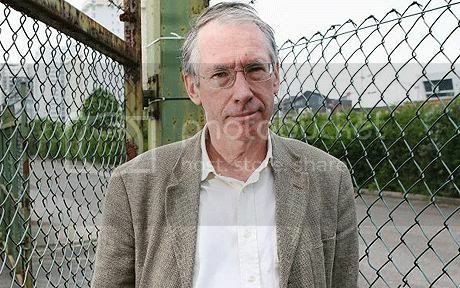 Although looking his full 60+ years, in this photo below, McEwan is even wearing the same clothes. But much innuendo in McEwan’s press suggests prominent involvement in experiments with society and genetics. It would be overwhelming to list it all without the anchor of some concrete proof. However, with his background and profile, it would be a miracle if he was not involved with the secret intelligence services operating within literary cliques. 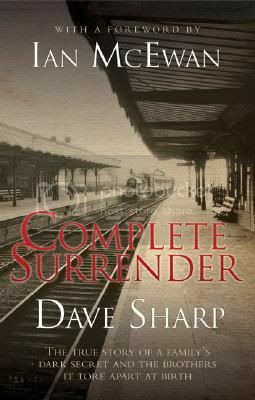 Dave Sharp appears to be a character from a McEwan novel who has been given power to impact the real world, with a big emotional hit of nostalgia and sentimentality . That’s somewhat like the existence of the 7/7 vicsims, families and survivors. While I can’t prove today that Dave Sharp is fiction, 7/7 appears to have a fiction-factory behind it. And with “Saturday”(2005) ? Seventh-Day, the Day of Sevens, I think McEwan was taking credit. NB: Read this post with caution. While something funny is definitely going on with Sally Phillips and a cultural double-agent theme (Italian/Latin) - I am now unsure that this post is entirely reliable: It may be more complex than concluding that Mariella di Lauro = Sally Philips. If the admins prefer this post removed I would be happy with that. I think it's superfluous to the contention that Sally Philips is a 7/7 actor. The following information is intended to bolster the argument, showing that her career is characterised by deception? Celluloid images that you are not supposed to recognise as Sally Phillips. Italian actress Mariella Di Lauro was only in 2 films and a TV series before vanishing without trace in 1992? MARIELLA DI LAURO IS THE YOUNG SALLY PHILLIPS! It is the young Sally Phillips in her Italian persona which she revived from time to time in her comedy career as “Laura”. I hope this helps shed some light on the international fakery going on with actors. Ozzy pointed out on youtube that some of Sally Phillips’ associations connect her to Ace Baker and Mark Humphrey et al. ? 9-11 fakers. 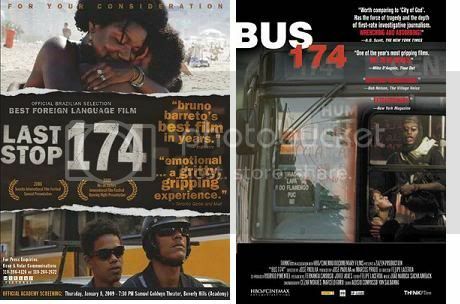 In the Daily Mail article a film called “174” is also mentioned. A documentary about a bus hijacking in Brazil in 2000, using “real” footage. A dramatised version of the same events mixing “real” footage and acted footage. Could there be a Brazilian Sally too? If so, which "174" is she in, or both? Timothy do you think was McEwan the scriptwriter for 7/7 only or also for 9/11? His second book ''Atonement'' came out in 2002 and was made into a movie in 2007. Apart form the biblical sounding name of Atonement I don't see any allusions. Although the Battle of Dunkirk features in the film and it's claimed by some people that that was a hoax, Hitler being a Rothschild agent deliberately let the British soldiers retreat. In the movie Keira Knightley wears a dark green dress, do you know if that has any occult meaning? 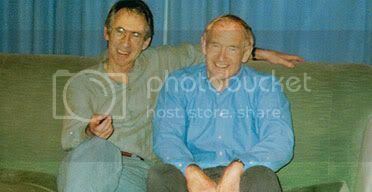 JamedD 4 May 29 2010, 01:42 AM wrote: Timothy do you think was McEwan the scriptwriter for 7/7 only or also for 9/11? I haven't got such a grip on the story arc of 9-11. But it's just a feeling. If 7/7 victim Miriam Hyman is a largely made-up character, who might she be based on? - What “broad themes” might be exploited? OK. Just because a Jewish victim of 7/7 has one older sister ,and she is more pretty and charismatic than her sister, does not prove she is deliberately modelled on Anne Frank. BUT, if you were looking for a powerful figure whose image to exploit through Miriam, you could find a worse fit than Anne Frank. All the words in Anne Frank’s diary contain a powerful poignancy because you know all these innocent words of wonder are over-shadowed by death. ... I want to be useful or bring enjoyment to all people, even those I’ve never met. I want to go on living even after my death! And that’s why I’m so grateful to God for having given me this gift, which I can use to develop myself and to express all that’s inside me! When I write I can shake off all my cares. My sorrow disappears, my spirits are revived! But, and that’s a big question, will I ever be able to write something great, will I ever become a journalist or a writer? I really don’t have a problem with the concept of my own death, and in some ways I’m just so curious that I’m awaiting just that, to see if I still have a consciousness and if I don’t, then I’ll just cease to exist. I find that a very attractive thought. 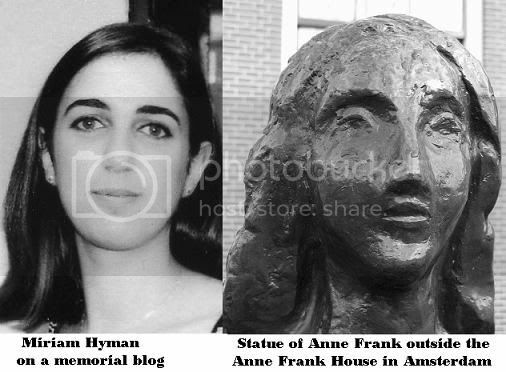 It occurred to me that Miriam Hyman’s appearance might be modelled not on the original Anne Frank but on the statue that stands outside the place in Amsterdam where she was hidden. On the other hand, why not model her after an actress who has played Anne Frank in a production that will have been seen by millions of TV-watchers and school children? This 2001 production opens with Anne Frank musing about how she wants to study “Languages and History”. But the actress who plays Anne - Hannah Gordon Taylor - will proceed to study Art History and Italian at University College London, starting in 2005. This production seems to be a soup of 7/7 pre-echoes. e.g. Brenda Blethyn as a motherly figure, who would later play the mother of a young, female 7/7 victim in a 2009 film. The presence of Ben Kingsley ? best known for his portrayal of Ghandi ? as Anne’s father, echoes Miriam Hyman’s half-Indian heritage. There is a statue of Ghandi at the centre of Tavistock square. 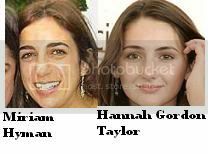 So, given the “Languages and History” at UCL connection, I am guessing actress Hannah Gordon Taylor who played Anne Frank in the 2001 production may be a node in the development of the Miriam Hyman character. Either way, this is not a pillar in any contention about 7/7. 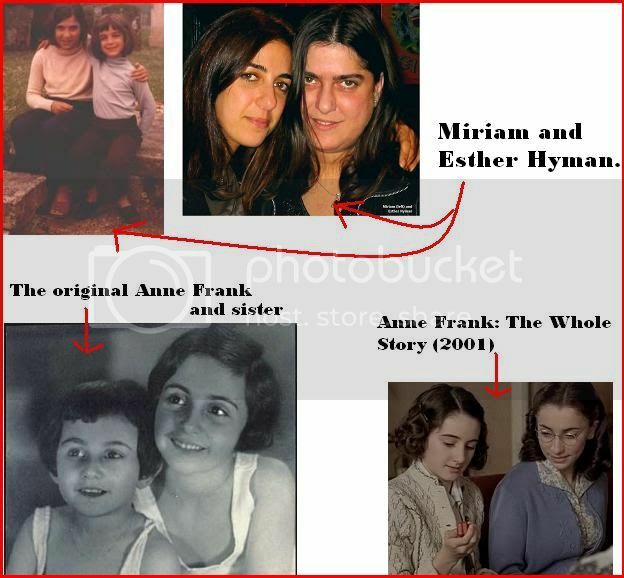 This is just curiosity about how much of Miriam Hyman might be Anne Frank. Funny thing is I thought Hyman could have been a play on words for hymen, thus = the virginal Anne Frank. The manuscript was examined on orders of a West German court as of a libel action brought by Otto Frank. Anne's father and the only family member to survive the concentration camps, against Ernst Roeme for spreading the allegation the book was a fraud. This was the second suit against Roemer, a long‑time critic of the book, by Frank. In the first case, the court decided in Frank's favor when the testimony of historians and graphologists sufficed to authenticate the diary. In April, however, only a short time before Frank's death on August 19, the manuscript was turned over to techicians of the BKA for examination. The results of tests performed at the BKA laboratories show that portions of the work, specially of the fourth volume, were written with a ballpoint pen. Since ballpoint pens were not available before 1951, the BKA concluded, those sections must have been added subsequently. Of course, there are other pages and studies that confirm the authenticy of the Diary. 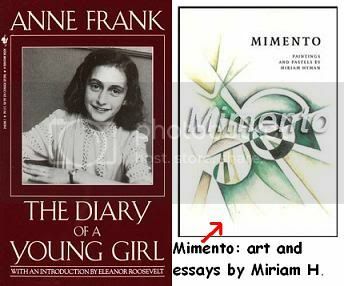 antipodean 4 Jul 14 2010, 06:42 AM wrote: Funny thing is I thought Hyman could have been a play on words for hymen, thus = the virginal Anne Frank. "Meaning, origin and etymology of the name Miriam"
ps: Timothy, you keep impressing me with your work. Keep it up.